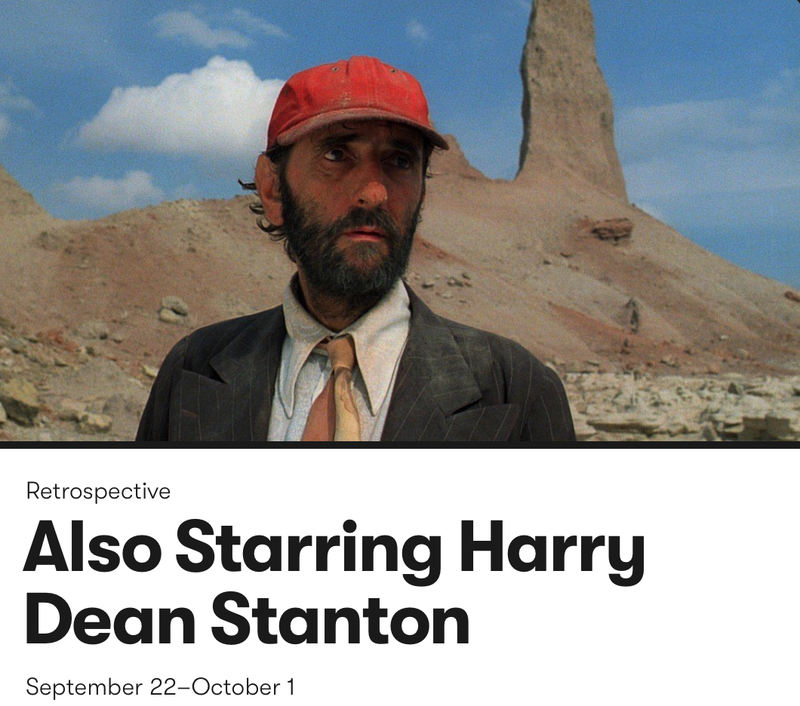 Few actors are as recognizable in American movies as Harry Dean Stanton. The singularly mild-mannered face of the New Hollywood, his repertoire expands to dozens of appearances in beloved studio, cult, and independent movies, with only a handful of lead roles to his name. In a career spanning more than 60 years, Stanton’s inimitable hangdog persona revealed a distinctive capacity for harebrained agitation and laconic, low-key melancholy that prove equally disarming. Stanton has worked with many cinema greats, from Carpenter to Wenders to Lynch. On the occasion of his starring role in Lucky (opening September 29)—and keeping in mind critic Roger Ebert’s famous proclamation that no film with his presence could be without merit—the Quad is proud to present a wide-ranging selection of his most memorable roles.